Purchase your WWE wrestling tickets in New York before you leave. WWE is the world’s largest company dealing primarily in professional wrestling. WWE Wrestling competitions are held regularly in New York. 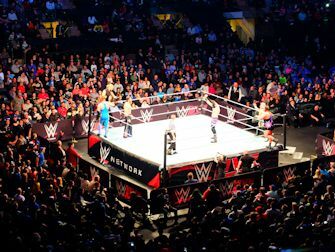 The matches take place in Madison Square Garden in Manhattan, Barclays Center in Brooklyn and sometimes at Prudential Center in New Jersey. 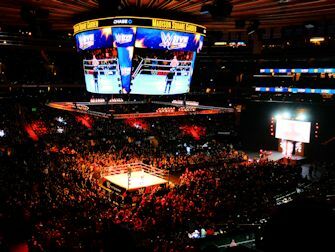 WWE organises numerous events including NXT Live, Summerslam and Raw that also take place in New York. So be prepared for a real wrestle mania! Buy WWE wrestling tickets now and pay no service fee and get a free shipping (e-tickets) or choose free local pick-up! 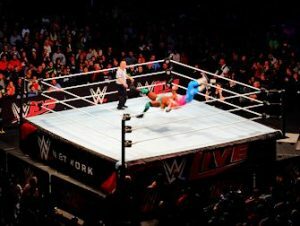 It may not be the obvious choice, but attending a WWE match is a fun experience during your New York trip. The tickets are, mostly, relatively cheap and the matches are a real spectacle for the whole family. The stadium isn’t just full of men, as you might expect, but women and children also enjoy the entertainment. The WWE matches are a real part of American culture with a huge entertainment value. The match is a sort of gladiator battle, where the public are much more enthusiastic than at other sports events. Definitely a New York experience that’s worthwhile! Eric’s Tip: I was not a fan of WWE or wrestling but, because I want to test everything for this site, I went and bought a ticket. Surprisingly, I had a great time! It is a very ‘American’ event where you don’t see many tourists. The match was a real show and the atmosphere exceeded all my expectations. I will definitely be going again! Are you a wrestling fan and would like to see WWE superstars in action? You can buy WWE wrestling tickets by looking at the table below for a date when you wish to see a match. The tickets can be paid by credit card and are shipped to your address or sent by email. You can also pick up the tickets from a local pick-up office (during office hours) in New York, for free. If you are not able to print out your e-tickets, you can also drop by the office. The office location is very central, near Times Square. Choosing e-tickets is the fastest option and local pick-up is the best option for all other tickets. Both options save you shipping costs, so I highly recommend them. Your tickets are 100% guaranteed authentic and delivered on time. 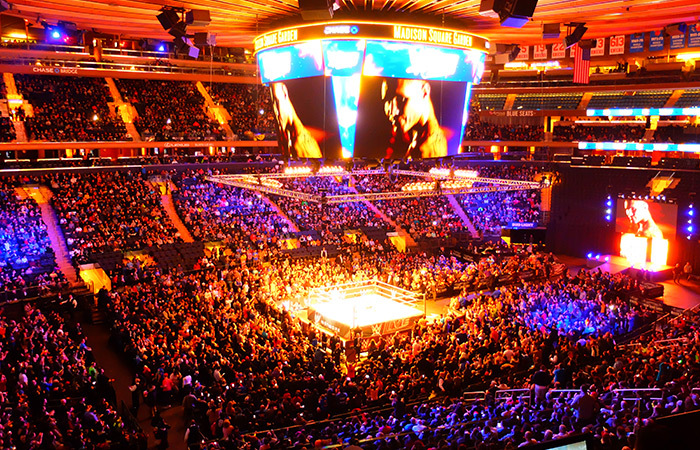 If there are no tickets available for WWE wrestling matches, you could consider going to a boxing match in New York.